A spree killer terrorizes New Orleans days before Hurricane Katrina makes landfall. Detective Curt Delatte just buried his only daughter, he's in no condition to work. But when the bodies pile up, he masks his grief and joins the hunt through the bowels of the Big Easy. It won't be long until his city, and his evidence, gets washed away. "Sweets came out of nowhere and seemed to eclipse all of its kind. The new name in crime comics is Kody Chamberlain." 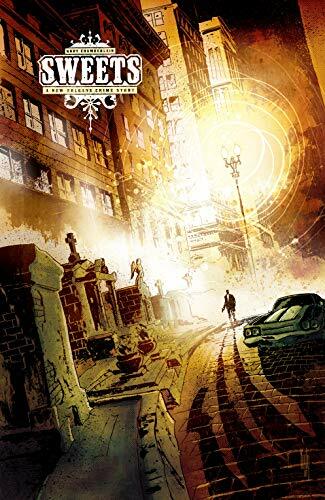 "This is exactly the sort of thing the comics world needs…"
"One of the most enjoyable mini-series from Image Comics." "…it’s really, really good, and you should just take my word for it." "Kody Chamberlain is a new writer to be reckoned with." " Kody Chamberlain’s art is what makes this book stand apart from other crime comic books and even television series." "A visual triumph…it gave me the same chill I would get when reading old Frank Miller comics"
"SWEETS has been hypnotic since the first issue. Rating: 10/10"
"This kind of care and craftsmanship isn't just art — it's magic." "…the very fact that I am wanting to give it another read means that it has accomplished something that very few comics ever have"
"Pretty close to a perfect crime story"
"Anybody that dismisses it as another crime comic is being very short sighted"
"Rating: 10/10 - After one read, you’ll want to take the time to give it another turn like watching Die Hard for the hundredth time." "The storytelling is flawless…one of the most original books on the market." "…reads like some of the best episodes of Homicide Life on the Street." "…amazing…I feel like I am watching a tenacious 70′s film with Steve McQueen…"
"…one of the best crime comics ever"
"pick of the litter…better reading than most of the rest of the stuff on the stands"
"…enough character and witty banter to make any cop show fan giddy." 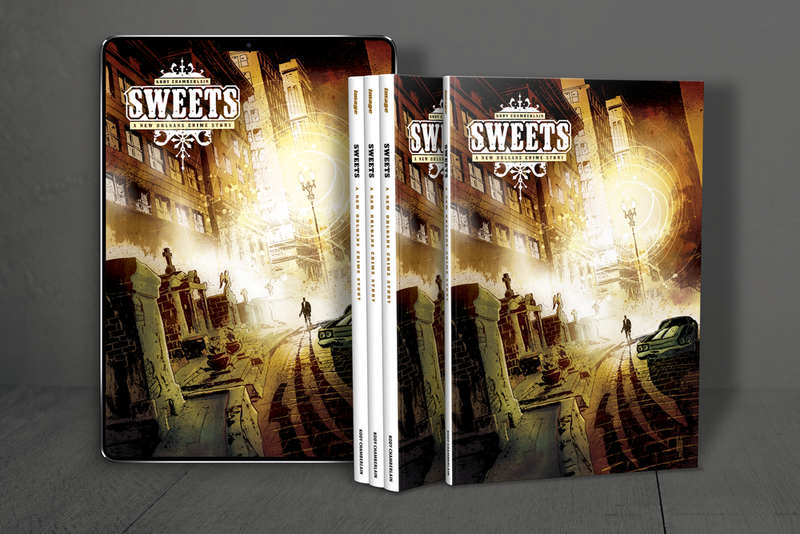 "Any fan of police procedurals and criminal drama will find that "Sweets" hits the spot." "…Chamberlain pulls a bob-and-weave of story in Sweets #2 that talks like a Tarantino film"
"A crazy ending that recalls Polanski’s Chinatown and Antonioni’s Blowup"
"Tremendously well written and displays the highest quality in terms of character development"
"Stunning, painterly art, hard-boiled Bendis-like dialogue, and a story that just doesn’t quit"
"… this is clearly a labour of love"
"You can’t fake this level of craftsmanship."